Hi, I am writing in regards to the property at *** Se Bedford Dr, Stuart, FL 34997. Please send me more information or contact me about this listing. Location, Location. Great potential for this pool home in the desirable Stuart area. Open floor plan on this great home offering open kitchen to living room and dining area, inside laundry closet, large screened covered patio and screen in-ground pool. Large kitchen with lots of wood cabinets and countertops and center isles. All good size bedrooms. Master bedroom with walk in closet and slider door to patio. Ceramic tile flooring all main areas and bathrooms and 2 bedrooms. Wood laminate flooring at living room. Others features include vaulted ceiling and skylight and fenced backyard. Extra long driveway and side 2 car garage. Location close to schools, shopping, banks, restaurants and easy access to main HWYs. Don't let this get away! 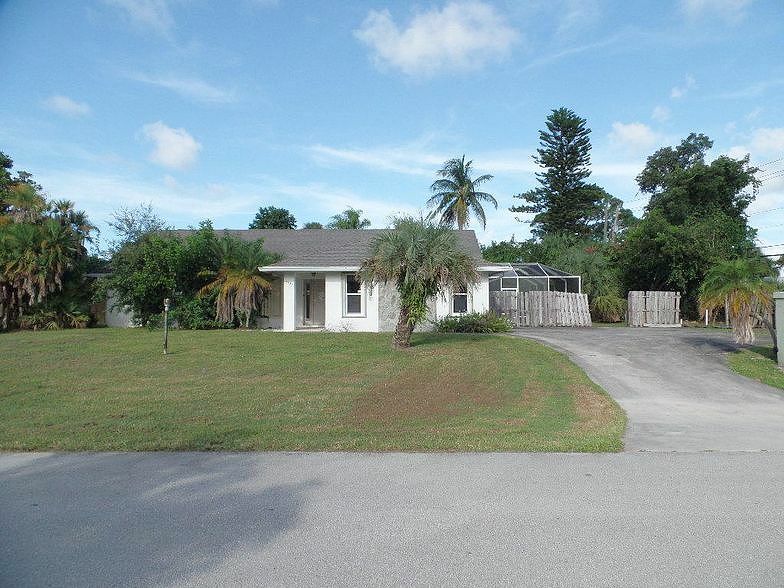 This is a Fannie Mae property.This HUD home is a single family home located in Stuart. It offers 14941 in size, 3 beds and 2 baths. Review its detailed information and determine if this Stuart HUD has the qualities you are looking for.